Here is a quick reference guide on how to grow bok choy (or pak choi). 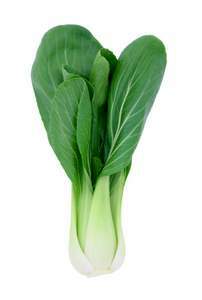 Bok Choy is an annual which is quick and easy growing, prefers cool weather and tolerates light frost. Position: Sunny, tolerates semi-shade. Likes moist, fertile soil rich in organic matter. Sowing season: Early Spring to late Autumn (more suitable for greenhouses or polytunnels late in the season). Bok choy prefers the cooler weather of Spring and Autumn. Sowing method: Sow seeds 5mm-1cm deep. Needs warmer temperatures to germinate so early and late in the season cultivate seedlings under cover. Spacing: 30-45cm between plants for medium to large sized plants. 20-30cm between rows. Needs less distance between plants if you plan to harvest the leaves young. Thin out seedlings when they’re about 10cm tall by transferring or eating them. Watering: Keep soil moist especially in dry weather. Fertilising: Apply fertiliser to soil before planting. Needs high levels of nitrogen for leafy growth. Harvesting: Cut outer leaves from several plants or harvest a single plant by cutting with a sharp knife approximately 3cm above the ground. Bok choy will re-shoot 1-2 times. Harvest in cool weather to reduce wilting. Suitable for: Containers and vegetable beds. Bok choy is also suitable for window boxes as it is shallow rooted. Good companion plants: Potatoes, celery, beets, onions. Hazards: Bolts quickly in the heat. Early sowings run to seed easily. Common pests: Attracts insects and slugs. Plant with nasturtiums to prevent aphids and protect with a slug trap. Strong smelling herbs (e.g. peppermint, rosemary, dill, sage) help to repel insects. Storage: Store in the crisper drawer of fridge in a plastic bag or wrapped in a damp tea towel. Bok choy loses its crispness after about a week. Tips: Grow two batches of bok choy crops each year, one in Spring and one in Autumn. Leaves, stems and flowers can all be eaten.